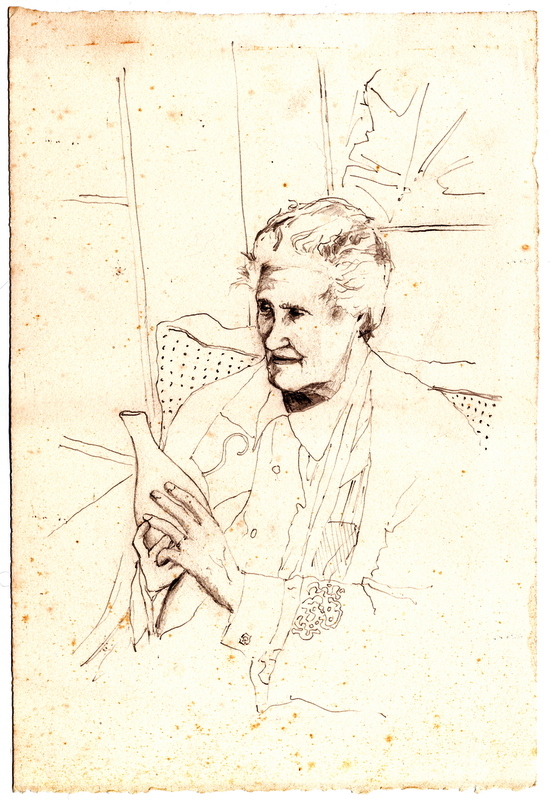 In conversation with my good friend Bob—I thought of a drawing I did 12 years ago of Eva Zeisel. In 2000 we had visited her at her home in upstate New York. It was a very influential and inspiring experience. We discuss her work, experiences, and life in general. It was so much to take in. Shortly after I return home I sketched this drawing of her (from a snap shot I took) explaining principals behind her work. Bob was able to attend her funeral early this year, and recently shared a poem with me that was read at the funeral by, I believe, her children. Over the last few days the poem continues to become top of mind for me. Eva lived to be 105 (1906-2011), and produced brilliant work until her death—needless to say she was very wise, creatively brilliant, and had an uncanny perspective on life. Despite I only met Eva once, and it was 12 years ago, she continues to inspire my life. Thank you Eva. it’s the time you spend. with glimpses of the past. the memory while it lasts. belong to you for keeps. and then real life will start. the moment which is life.